The past three months have been happily full of commissions - paintings that others have asked me to create to honor pets of their family and friends. I enjoy making these little portraits, wondering about the personalities and character of the furry loved ones, pets that have touched the lives of their families to the point that someone knew they deserved a portrait. 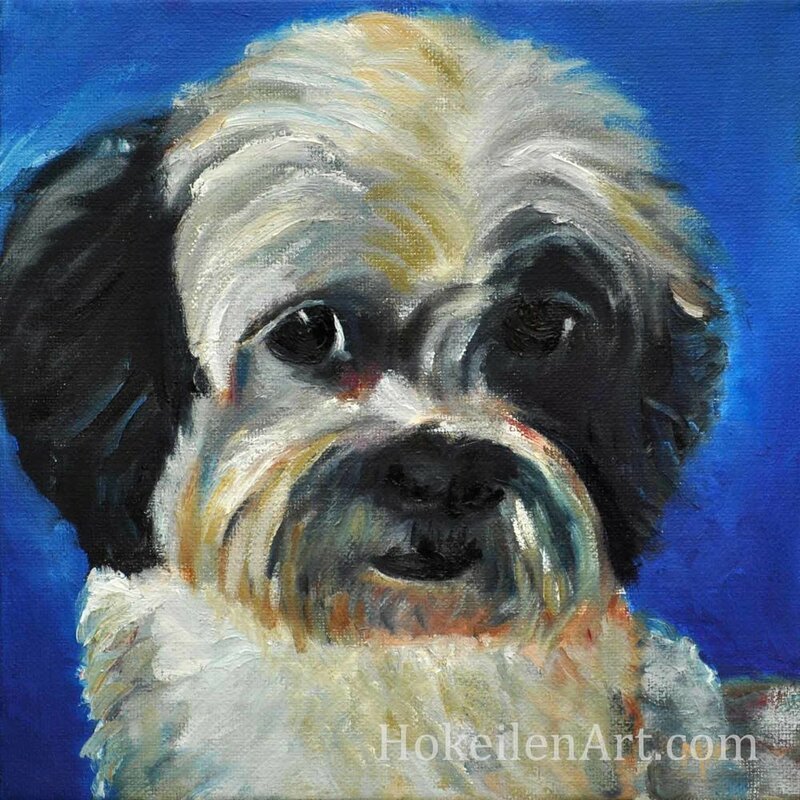 I cherish the paintings of my own sweet dogs that are now gone. I so hope that I have somehow captured these other beloved furry friends in their own paintings. Regardless, painting them brings me joy, and that is certainly worth doing!